Armillo: The Parallel Universe Mystery is a fun to play action puzzle platformer where you control Armillo, a space armadillo, rolling, jumping, and boosting around spherical worlds. Play through various obstacle-filled spherical worlds including grass, desert, ice, and fire. Solve puzzles, navigate obstacles, engage in battles, defeat bosses, and more! This game has tonnes of different game mechanics to keep you on your toes! Control Armillo to roll around on spherical levels. Boost and jump to evade enemies. Collect power-ups to grow, explode, or shoot under a twin-stick shooter style battle. Rescue enough of your friends and they will help boost you into bonus stages! Find portals littered throughout each world to enter the evil parallel universe. Explore and escape before Armillo suffocates from all that evil air! This won't be easy as plenty of enemies will try to stop you! We're also on Steam Greenlight as well. Be sure to help support us if you like what you see! Armillo is coming to the Wii U eShop! An exciting time it is for the development of our game, Armillo: The Parallel Universe Mystery, as we announce its release for the Nintendo Wii U eShop as Fuzzy Wuzzy Games is now an official licensed Nintendo Developer. 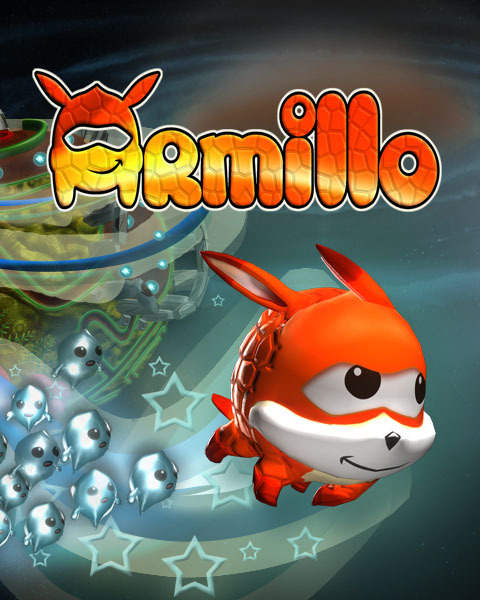 Armillo is a 3D action puzzle platformer where you roll around a space armadillo named Armillo. He has the following primary actions: roll, jump, and boost. The game is designed around the concept of an obstacle course, so you are constantly being bombarded by various mechanics and challenges. In this game, Armillo discovers a Parallel Universe and needs to solve the mystery of its existance. So let's sit around the campfire and let us tell you our story on how we ended up on the Wii U eShop. At one point, we were contacted by press member Emily Rogers, telling us on how our game would be well suited for the Wii U eShop. That happened after she noticed one of our postings talking about how our submission to get our game released for the XBLA didn't work out. 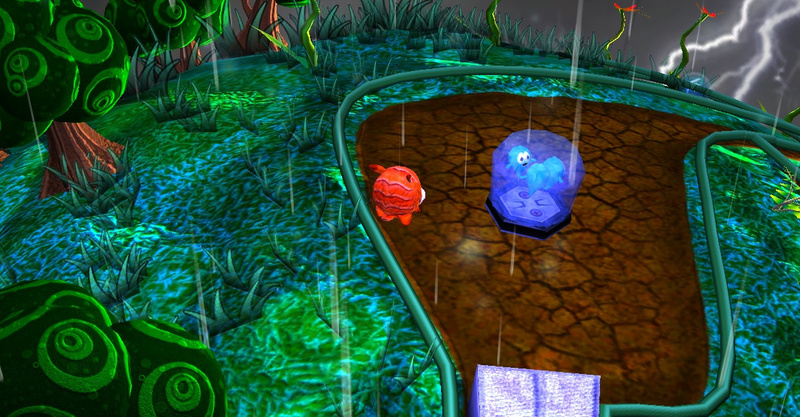 Since our game was built on XNA, which is Microsoft's SDK for developing games for Xbox Live Indie Games, we weren't sure how we were going to get it to the Wii U. That is until Emily pointed us to Unity of which we then remembered will gain support for the Wii U. So in the past month, Emily had helped us get in contact with Dan Adelman of Nintendo, and Dan helped us with the approval process. Our experience so far working with Nintendo has been really positive. With the release of the Wii U eShop, their efforts to accommodate Indie developers is top notch. Our team at Fuzzy Wuzzy Games is very excited to get to release this game on this excellent Nintendo console as this game itself holds a lot of influences from various Nintendo games. We've seen everything from XBLA to Steam Greenlight, but Nintendo is easily the most indie friendly at the moment. shaders, and dynamic weather effects. Expect visual improvements when the final game hits the Wii U eShop. We also want to give a big shout-out to Emily Rogers for reaching out, supporting us, and helping to make this possible. And a big shout-out to Dan Adelman of Nintendo for helping us out with the approval process! We can't stress enough how helpful Dan Adelman and the eShop team have been for indie studios like us. Fuzzy Wuzzy Games Inc. is an interactive online entertainment company founded in 2011 by a group of passionate gaming professionals who have worked together for over 6 years and have been involved in developing titles for companies such as Electronic Arts and Radical Entertainment. Dev Blog #12: Shut Up Armillo!!! So I've talked a lot about what we're going to change in our game. Now it's a good time to show what has been done. Dev Blog #10: Go Away Combo System! What is the day the game is go to the eshop? Hi there! It's still a bit early to say at this point as we're still revamping the game from the ground-up. We'll announce it once we're closer to our goal. Interesting mod and I like how you are also putting effort into sharing your thoughts on the creation and development process. That's some valuable information. Excellent!! It's a mix of Mario Galaxy and Sonic. Hey JorgeRamon! Thanks for the compliment! A video has been uploaded.